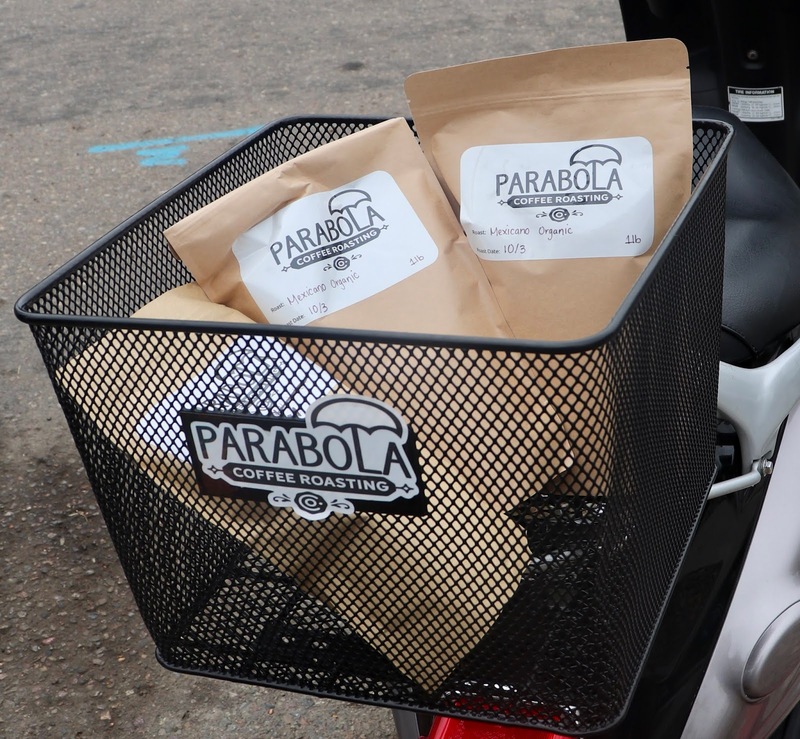 Parabola Coffee Delivery - San Diego Dining Dish! San Diego may be the craft beer capital of the world, but it's soon giving Seattle a run for its money by the many, many coffee roasters and craft coffee houses. 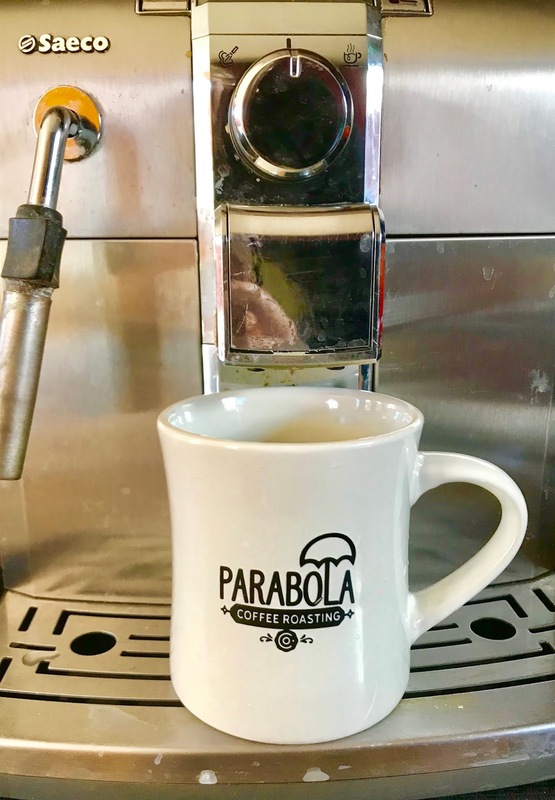 With powerhouses like Bird Rock and Dark Horse coffee roasters leading the way, many others have followed their lead by bringing specialty coffees to our city. While I love going out for a cup of coffee and enjoying a cold brew at Holsem or any of the other purveyors in the city, it's a little tough on the wallet, and on a busy work morning, inconvenient. Most mornings, we brew our own using our super-awesome super-automatic espresso machine. Aw yeah. To make the best cup of coffee that I can at home, and not give in to the temptation of Lestat's and Starbucks just across my street (I'm not a fan of Starbucks really, but across the street is...across the street), I try to buy the best coffee that I can for home brewing. 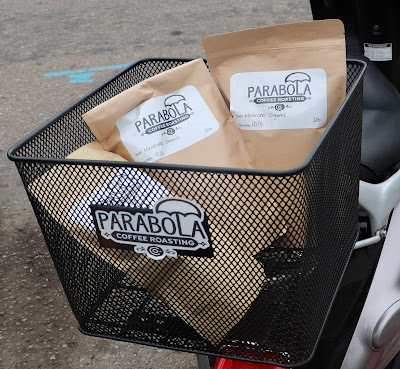 Parabola Coffee Roasting is taking craft coffee to the next step by offering competitive pricing and free local delivery to give customers that coffee house experience right in their own home. 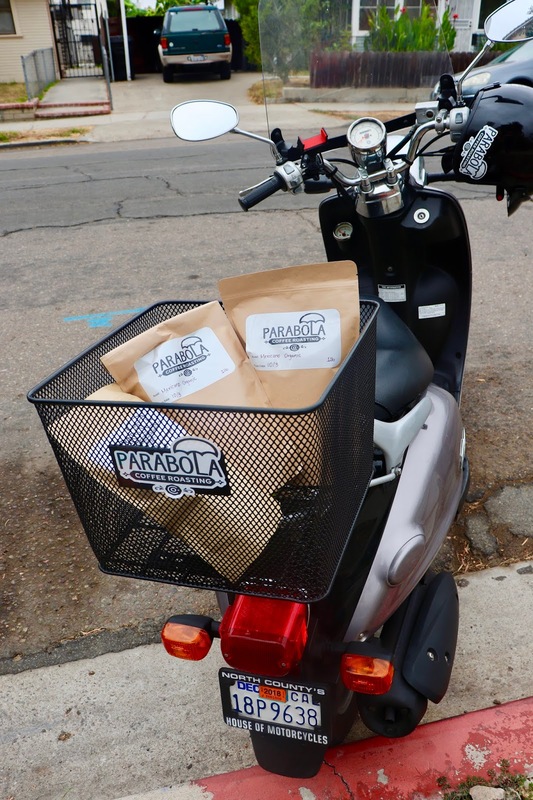 The company is based in the hip North Park neighborhood, and was inspired by the recent surge of craft coffee in San Diego to make their mark as the home brewer's answer to coffee supply. The website is easy to use for ordering. Simply go to www.parabolacoffee.com, click Shop Coffee, and pick the blend you like. Choose whether you would like whole bean or ground (including the grind, depending on your preparation method). 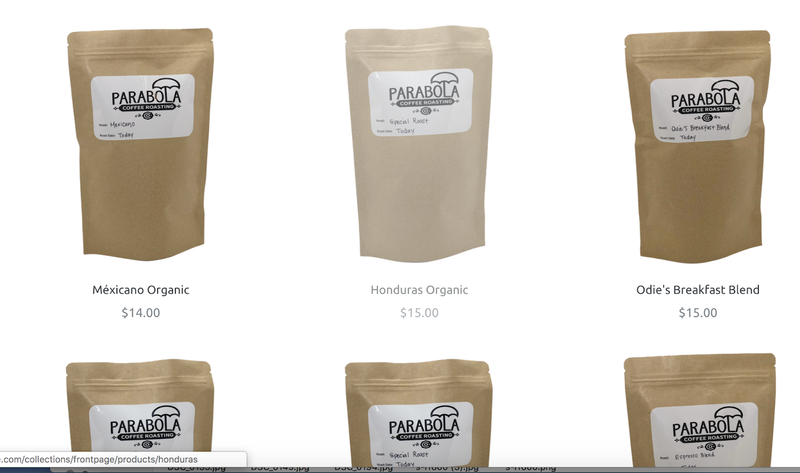 For $15/lb, you will be treated to one of the best coffees of your life. 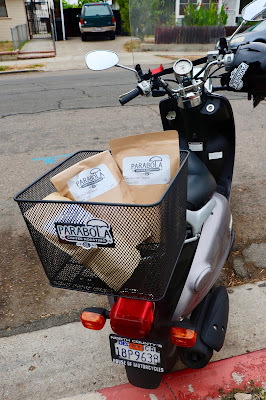 And free local delivery via the coffee scooter! How convenient is that? I don't know about you, but getting a pound of coffee (most shops sell only 12oz) for that price, delivered is quite the deal. 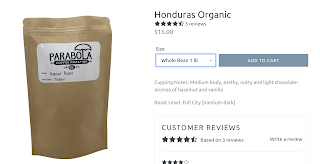 We sampled some of the Mexicano Organic, a medium dark roast with full flavor and no bitterness. I've enjoyed it as my morning cup for the past few days, and plan to order more when this bag is finished. 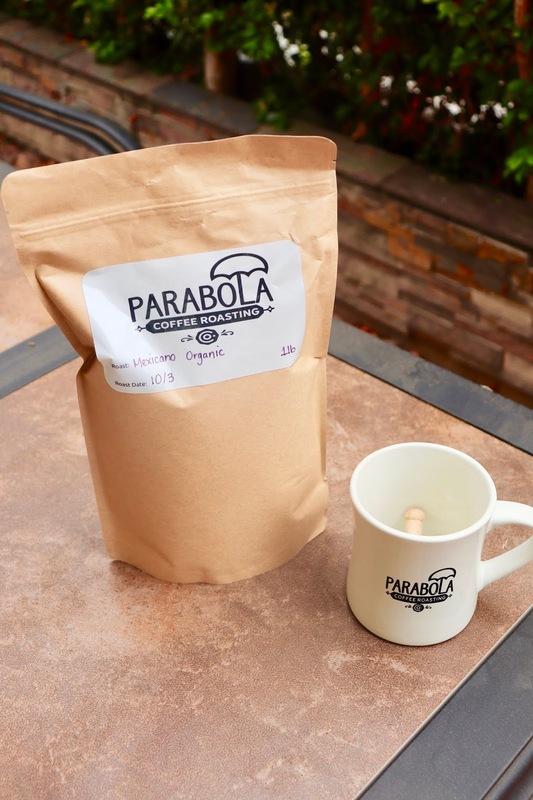 Check out parabolacoffee.com to order your own.